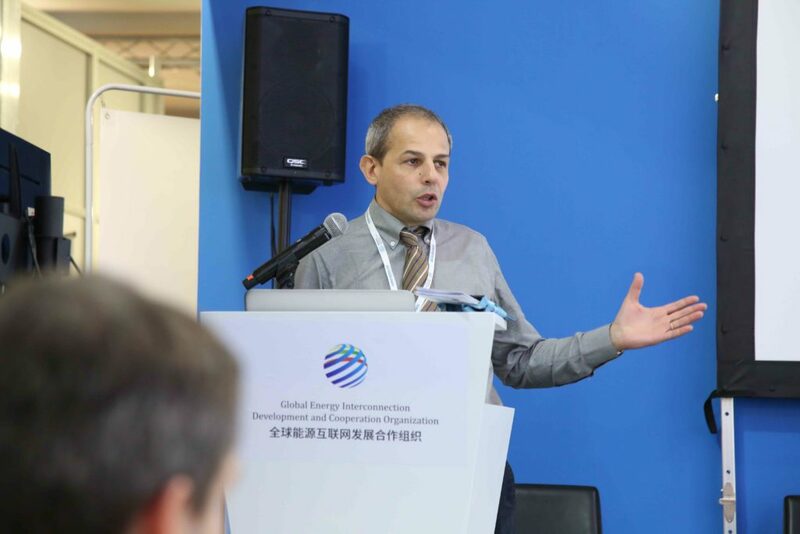 World Energy & Meteorology Council (WEMC) Managing Director, Professor Alberto Troccoli, played a leading role in the global discussion on climate and energy at the recent United Nations Climate Change Conference (COP24). WEMC was invited to take part in five key events at the conference, which took place at the International Congress Centre (MCK) in Katowice from 2-14 December. 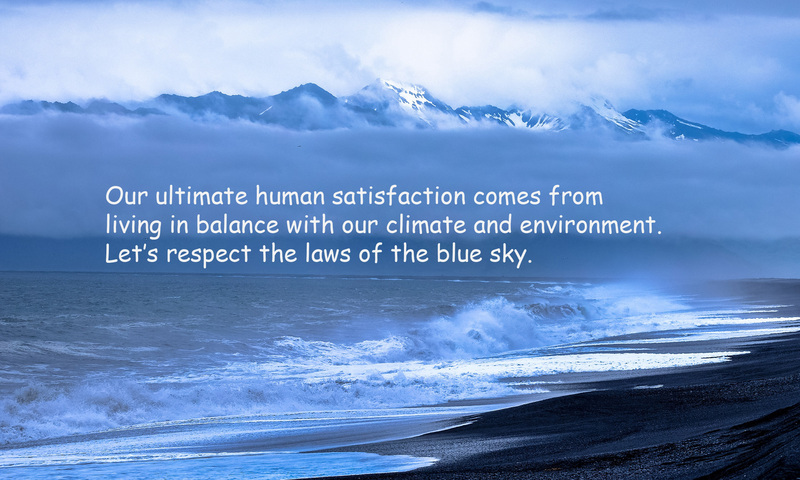 Heralded as the most important discussion on global climate change since the global community set out the Paris Agreement in 2015, COP24 brought together world leaders, politicians, scientists and climate change experts from over 200 countries, to discuss plans for implementing the international climate agreement. The conference focused on establishing a ‘rulebook’ for countries to follow in an effort to reduce emissions and limit global warming to well below 2°C, with a stretch target of 1.5°C; a figure highlighted as even more important by recent research released by the recent IPCC report. Alongside colleagues from the World Meteorology Organization and the Copernicus Climate Change Service (C3S), Professor Troccoli discussed the growing relationship between energy, weather and climate, and the benefits of collaborative working and shared information for both the energy industry and meteorologists. The events included a panel discussion hosted by the World Meteorology Organization, which looked at Clean and Affordable Energy for Sustainable Urbanization and Development. The discussion explored the transitions needed to provide reliable access to clean energy in rapidly developing urban centres and smart, green megacities. 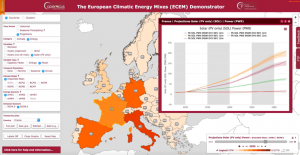 and the SECLI-FIRM EU H2020 project – the Added Value of Seasonal Climate Forecasting for Integrated Risk Assessment: how using improved climate forecasts, out to several months ahead, can add practical and economic value to decision-making processes and outcomes in both the energy and water sectors. 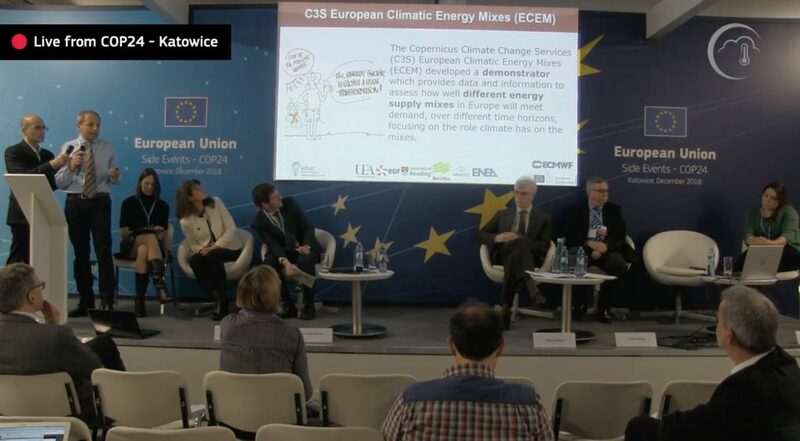 In the second week of the conference, Professor Troccoli joined Elżbieta Bieńkowska, European Commissioner for Internal Market, Industry, Entrepreneurship and SMEs, and other eminent speakers from ECWMF, WMO, C3S, UNFCCC and SMHI, for a panel discussion to present The Global Reach of the Copernicus Climate Change Service (C3S), a key service of the European Union’s flagship Earth observation programme. You can see a live recording of the event here. The panel discussion was followed by a ‘Meet the Expert’ session, offering delegates the opportunity to meet with experts from the weather, climate and energy sectors, to learn more about their work. 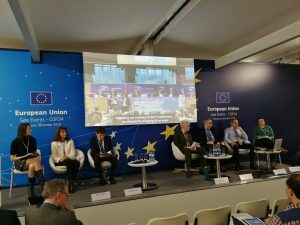 In the final event, Professor Troccoli joined representatives from Chinese energy company, GEIDCO, and other leading experts from the international energy, research and environment sectors on a panel to discuss Energy Interconnection: Advancing Energy Transition for Sustainable Development. 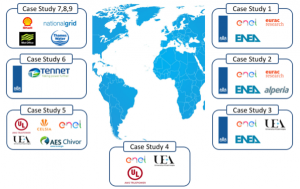 Previous PostPrevious Make a difference in the Energy & Meteorology World!